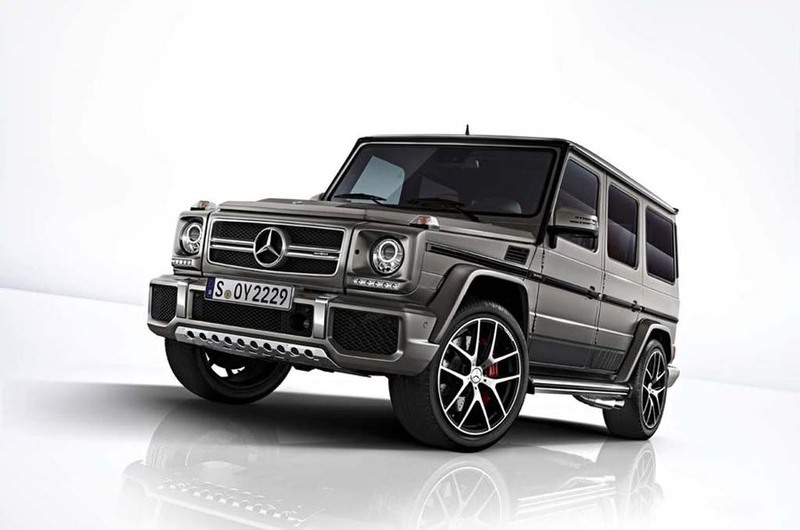 Mercedes-AMG has unveiled two special edition models of the G-Class at Frankfurt Motor Show. One is the G63 Exclusive Edition, while the other one is the G65 Exclusive Edition. Both will be sold in limited numbers only. In Germany these two premium luxury off-roaders are priced at €163,125 (Rs. 1.25 crore) and €287,658 (Rs. 2.20 crore) respectively. The Mercedes-AMG G63 and G65 Exclusive Edition models appear with unique styling touch at exterior and inside the cabin as well. Interestingly, this two special edition G-Class models arrive just months ahead of the unveiling of new generation G-Class that is scheduled to be uncovered at the 2018 Detroit Motor Show and it will sport a completely new design. 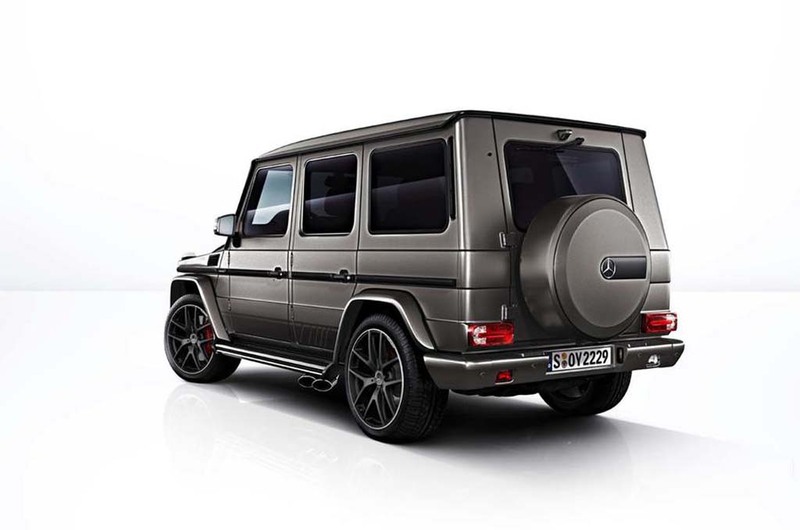 Speaking about the special edition models based on the current G-Class, they wear a distinctive Grey paint scheme. The basic design is same, but thanks to the additional elements these special edition models arrive more attractive. There are stainless running kick plates integrated to the front bumper of both the SUVs. Apart from that, there are AMG racing strips at the lower side profile, spare wheel cover painted in body colour etc. The Mercedes-AMG G63 runs on 21-inch matte black alloy wheels wrapped with 295/40 section tyres. Inside the cabin too, the distinctive touch is visible. The special edition G-Class models receive dual-tone leather treatment at the instrument cluster, dual-tone premium leather seats and upholstery with diamond pattern quilting and integrated air conditioning as well. The German luxury carmaker will offer six different colour combinations to the buyers. There are carbon fibre elements inside the cabin. Both the Mercedes-AMG G63 Exclusive Edition and G65 Exclusive Edition draw energy from the same engine as their regular sibling. Power and torque output too are same. The G63 Exclusive Edition gets a 5.5-litre twin-turbocharged V8 engine capable of churning out 563 bhp of peak power and 760 Nm of peak torque. 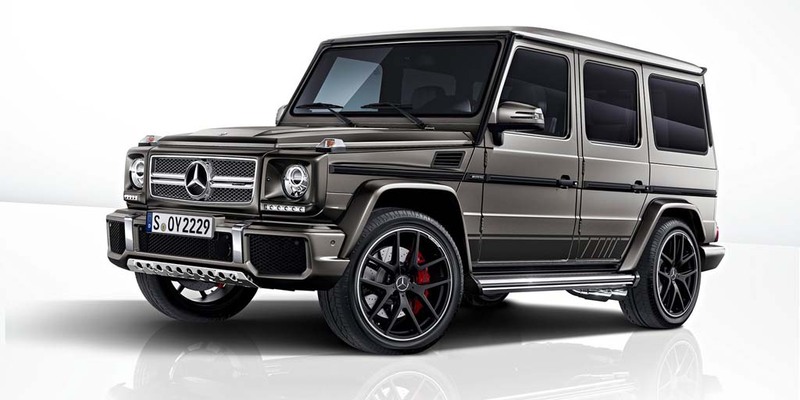 On the other hand, the G65 draws power from a 6.0-litre twin-turbocharged V12 engine that is capable of producing 612 bhp of peak power and massive 999 Nm of peak torque.